In the the Vancouver Canucks annual Skills Competition, young center Jared McCann produced the best highlight, scoring an amazing goal juggling the puck and knocking it out of mid-air and past the goaltender. If only he did that in-game like Geoff Platt! 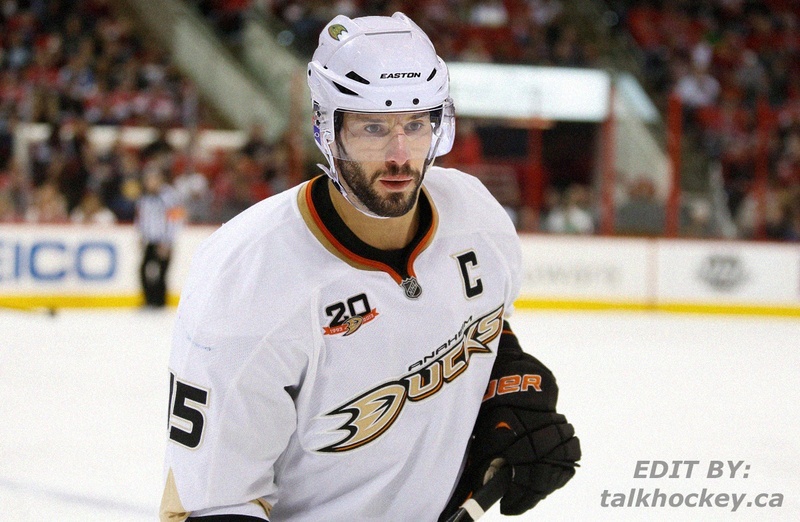 Hours before the 2014 NHL Entry Draft, the Vancouver Canucks decided to grab the attention of the hockey world by shipping one of the best two-way players in the National Hockey League. 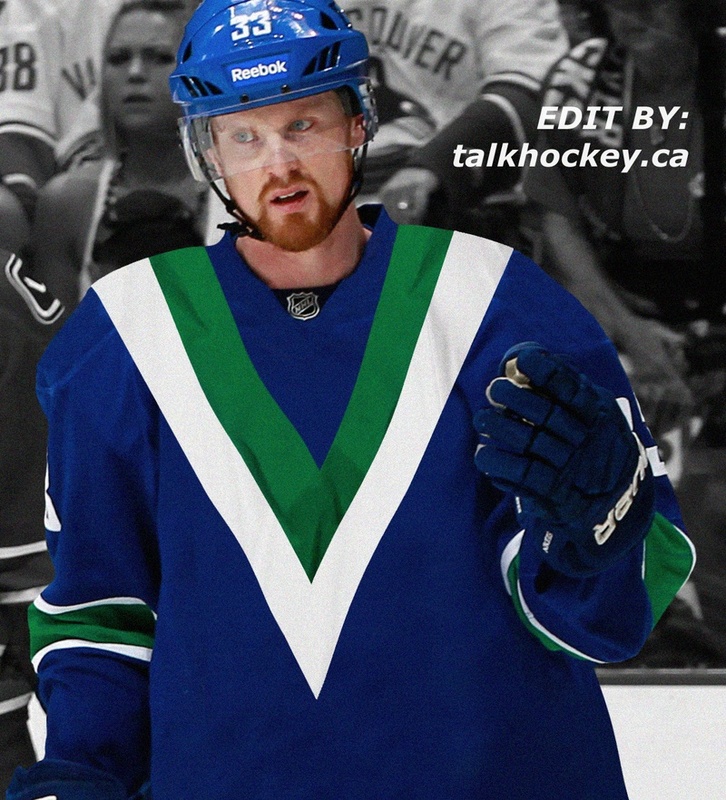 Recently, I’ve seen a lot of interesting Vancouver Canucks jersey concepts just surfing the web. 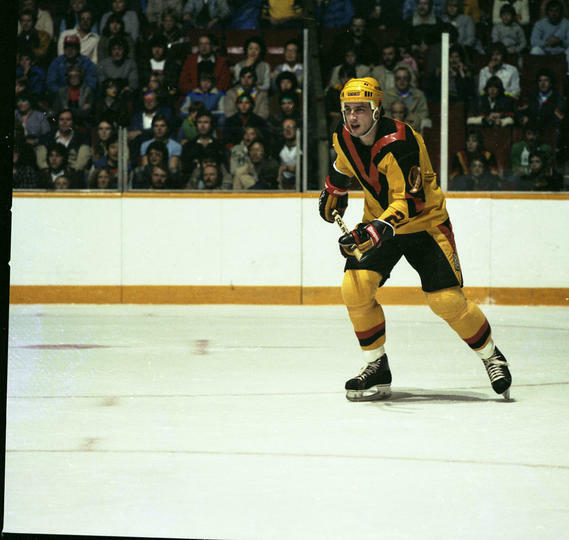 The one that caught my attention the most was this modernized version of the Canucks old Flying V uniforms.